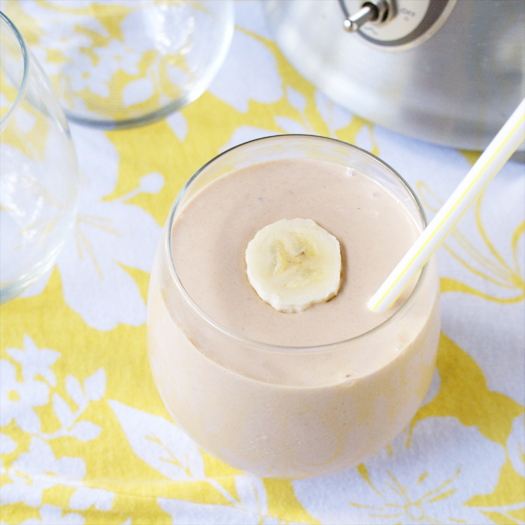 Peanut Butter Chocolate Banana Smoothies are packed with protein and fruit, and are smooth, creamy, rich, and delicious. I worked at a gym for a few years before I started having kids. Working at a gym has some awesome benefits, let me tell ya. First, I was always motivated to make healthy choices. Being surrounded by people all day that took excellent care of themselves and were great shape really motivated me. Second, the free gym membership. It's really easy to convince yourself to workout on a daily basis when you're already at the gym. No brainer right there. Third, the smooooooothies! Yes, my gym had a smoothie bar and man-oh-man were they good. That's when I fell in love with peanut butter banana smoothies. To this day, they're my favorite kind. Packed with protein and fruit, they're smooth, creamy, rich, and delicious. Try one! Place all ingredients into a blender and blend until smooth. Done! 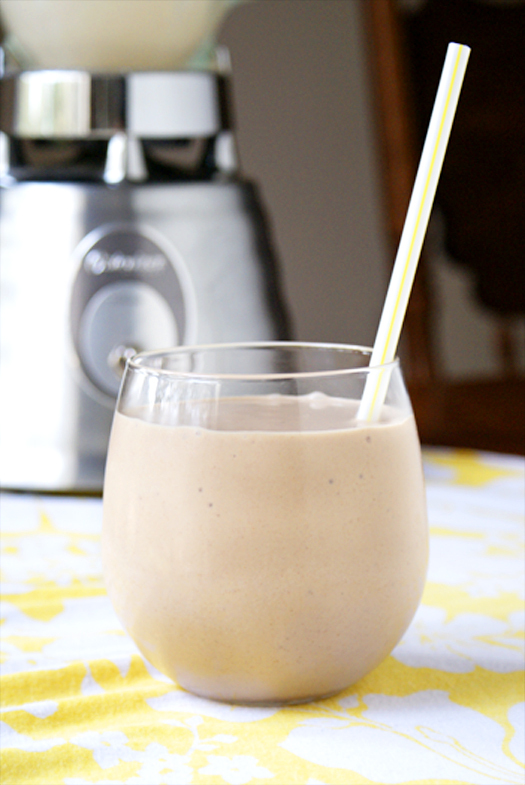 This smoothie is oh so good! The Greek yogurt makes it creamy thick and filling. Delicious!